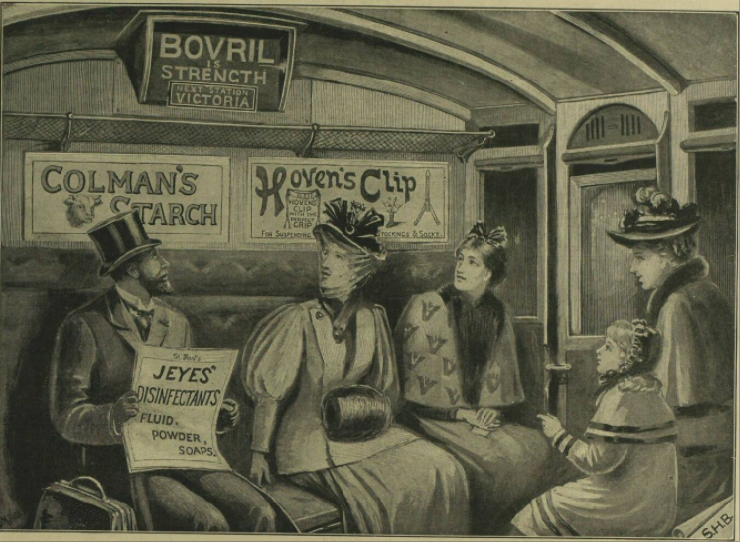 Welcome to Victoria, sponsored by Bovril. Very useful — and a trick that Thameslink still hasn't mastered 120 years later. But look at the indicator again. The larger writing isn't the station name at all, but that of an advertiser. In this case Bovril, a drink made from ground-up cows. There's been much talk about adding sponsor names to tube stations, as a means of raising revenue without putting up ticket prices. As with many things, the Victorians were way ahead of us on that score. Image (c) Illustrated London News group via British Newspaper Archive.